Mens Devil Fancy Dress Costumes make one hell of a fantastic idea at Halloween and weve always been told to fear the devil in all his disguises even when its fancy dress, so its no wonder that our Mens Devil costumes are hugely popular all year round as its a great way to bring our your devilish side whilst injecting fear into your fellow party goers. 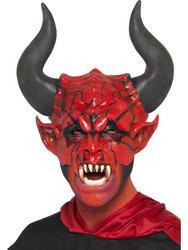 Making appearances in some of our favourite classic horror films such as The Devils Advocate and The Exorcist, Satan is now being raised from his demonic grounds and has located himself in our Men?s Devil fancy dress range. 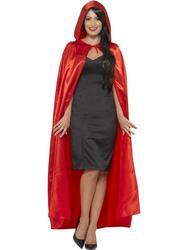 We have everything from Demonic Kings to Devil Worshippers, to help you bring out your fiery side. 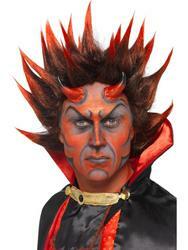 One of our favourites is our Deluxe Devil costume which has proven to be a huge Halloween hit year in year out. 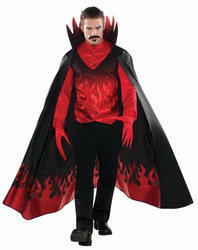 Arise from the flames of the underworld in our Classic Devil or Devil Pimp costume and encompass everything that is Halloween. 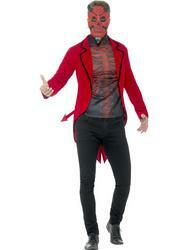 So whether you believe in him or not, our hellish range of Mens Devil fancy dress is enough to convert you into a worshipper, so join the fallen angels this 31st October and make one hell of entrance to your next Halloween fancy dress party with one of these fantastic costumes.